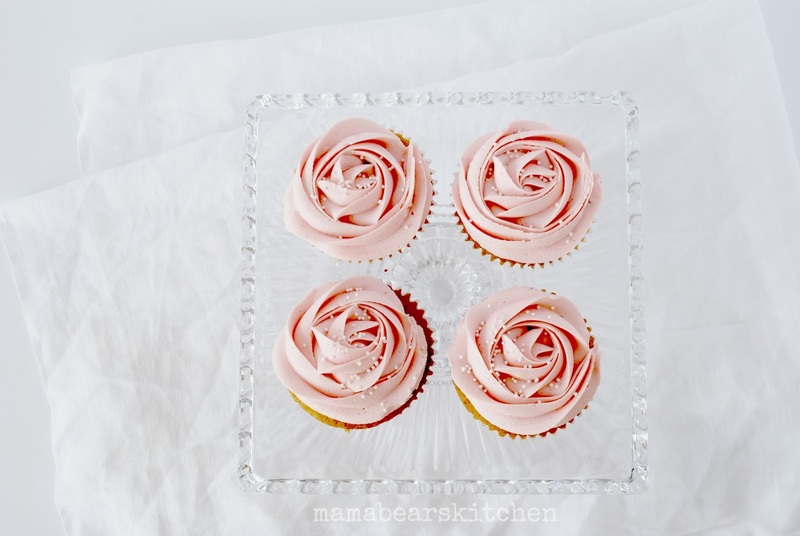 If cupcakes could be romantic, then I think I have created the most delicate heart endearing sweet treat that may even send Mr Darcy begging for more! 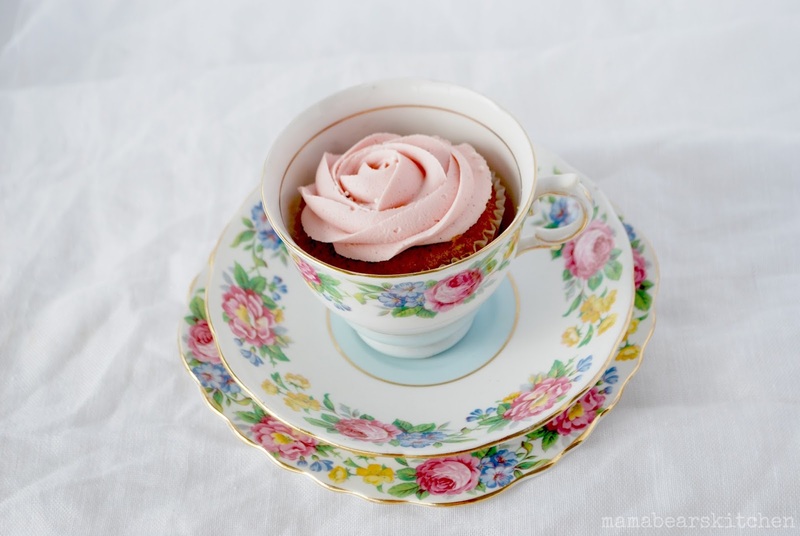 Rose tea is infused within the cupcake and balanced perfectly by the vanilla frosting. 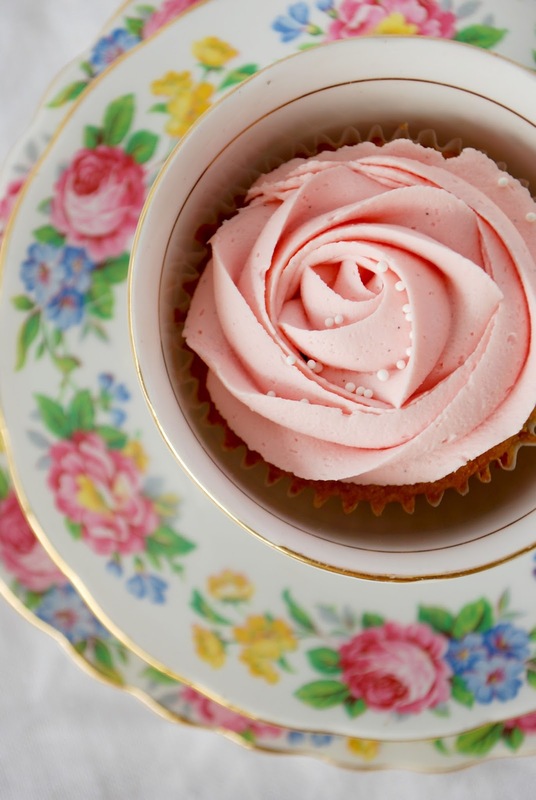 If you are planning a special high tea or bridal shower, then these exquisite cupcakes will surely impress. 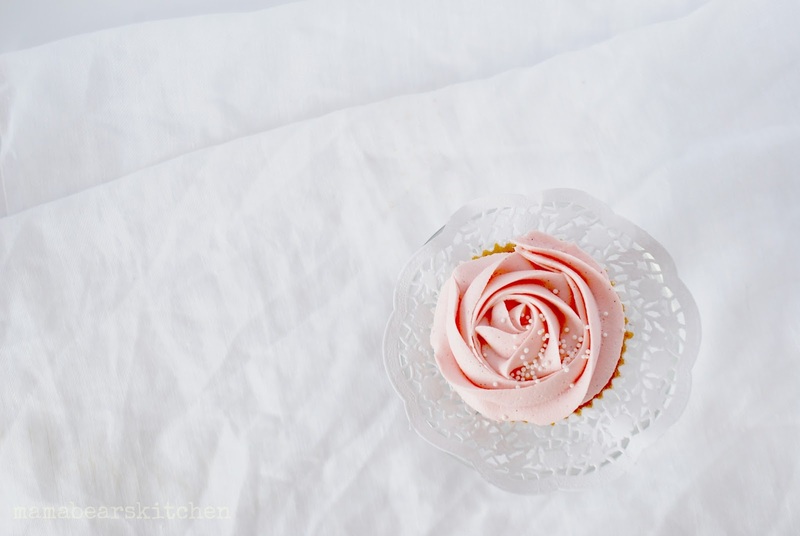 A subtle rose tea infused cupcake with creamy vanilla frosting. Using a hand whisk combine eggs, oil, and vanilla. Add sour cream and carefully whisk together. Squeeze tea bags and slowly pour the rose tea into the wet mix. Set aside. In a separate bowl sift together flour, castor sugar, bi carb soda and baking powder. Use a dry hand whisk to mix thoroughly. Slowly pour wet mixture into the dry ingredients and whisk together until well combined. Carefully spoon into cupcake liners until each is 2/3 full. Bake in a moderate oven for 18 - 20 min or until firm to touch. Leave on a wire wrack to cool. Using an electric mixer on medium speed beat butter well until light and fluffy. Approx 3 min. Add cream cheese and beat another minute until smooth and creamy. Turn mixer onto low and add icing mixture about half a cup at a time. Pour dashings of cream into the mixture as it stiffens. Alternate adding icing mixture and cream until you get the desired consistency. Add pink food colouring if desired. 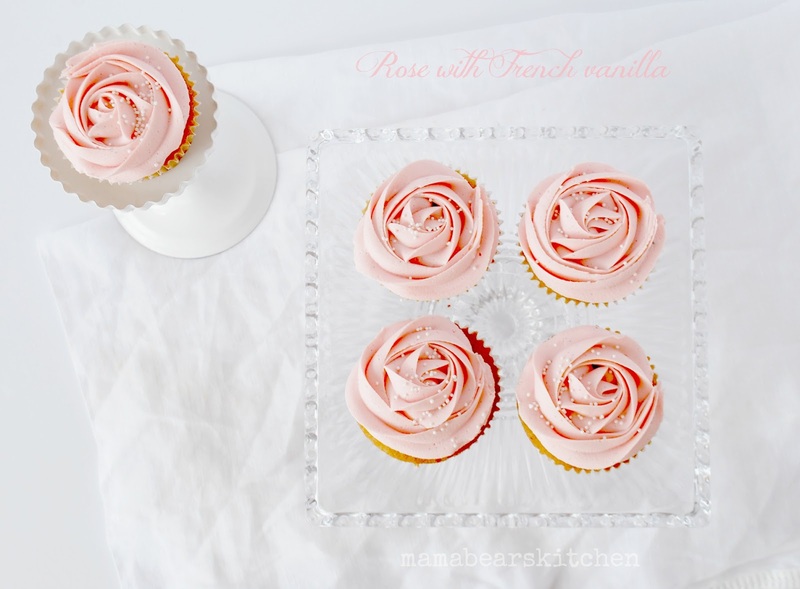 Fill a piping bag and swirl frosting onto your rose cupcakes using your favourite tip. They look delightful! 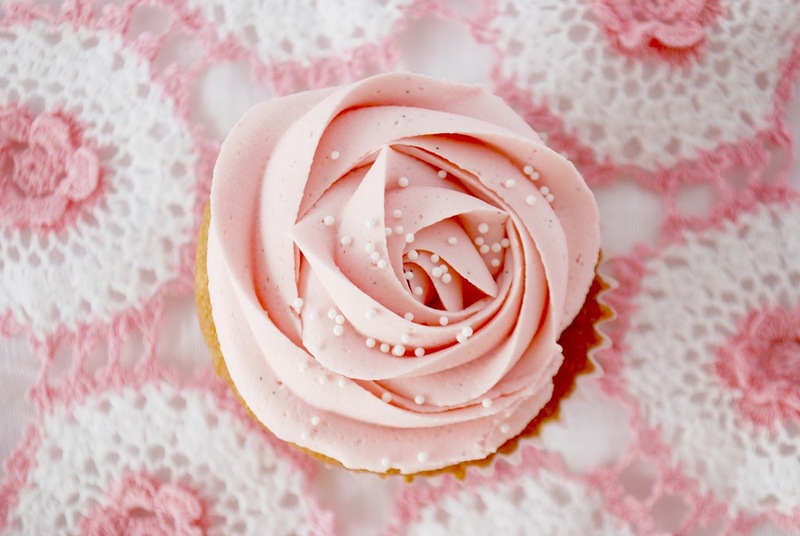 Where did you get your piping tips from? 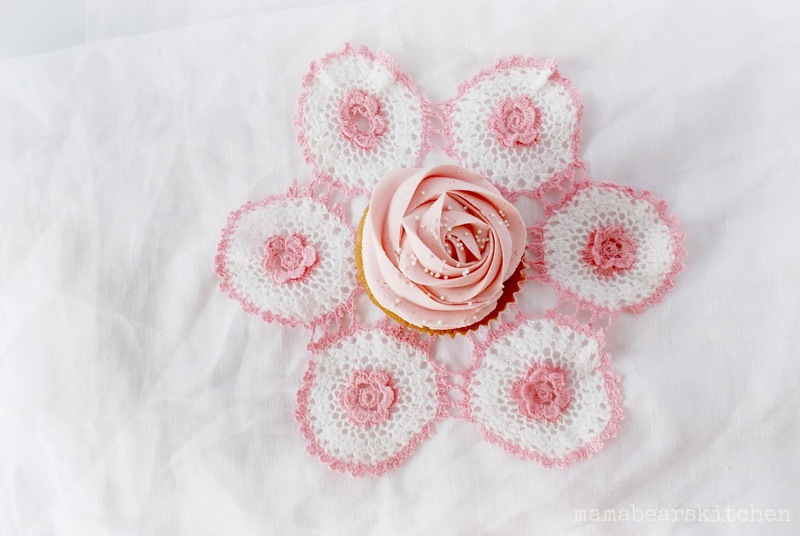 I want a larger one than the one I currently have, which was the largest I could get locally, so I can make the pretty roses like these. They look sensational! You have been busy creating delightful recipes….. I ended up googling and found the shops you recommended but also another one called Miss Dot with free postage over $30, found a couple of other things I wanted as well so easy to get $30- gotta love free postage!